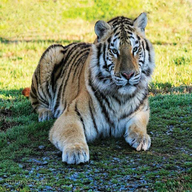 Tiger World is a non-profit animal conservation and educational center dedicated to rescue, rehabilitation and preservation of exotic animals. We are located at 4400 Cook Road, Rockwell, NC. We are a registered 501 (c)(3) public charity. Our support comes entirely from visitors, adoptions, and donations.